Above you can see a carrion crow (Corvus corone). We have quite a lot of them here in Germany. Where I live there are places where you could easily find thousands of them in threes with hundreds of nests. I remember when I was in Reinfeld and a storm came up, sitting with my uncle near the window we saw how the sky became black because thousands of them ascended from the bush that was hundred meters away from our windows. I really mean the sky became black, it was a spectacle of nature. We thought they could feel electricity, because they were dancing in the air between the thunderbolts, they covered and ascended again multiple times. The cawing was so loud, it was mind-blowing, and together with the thunder it was almost creepy. I was so amazed that I forgot to get my camera from the other room, it’s sad because it looked both, creepy and beautiful at the same time and I would have liked to show you an image. Later I found out they had their nests all around the train station in the trees, but I also saw them in the forests. Here in Lubeck you can find single individuals as well, as in any other place, but it’s not long ago when I found hundreds of nests again in a park. That means we have large groups of them here too. By the way, they aren’t even afraid of birds of prey. They seek nests of eagles or red kites and other birds and destroy them or damage eggs. When I see these large groups and hundreds or nests, I wonder if they might already be a “plague”. In the cities you find individuals or small groups, but a bit more nature and it might happen that you find a lot more of them in the trees or in the sky. They look very similar to the Australian crows, I’m still trying to pick the difference between them. I think I read they have white eyes. 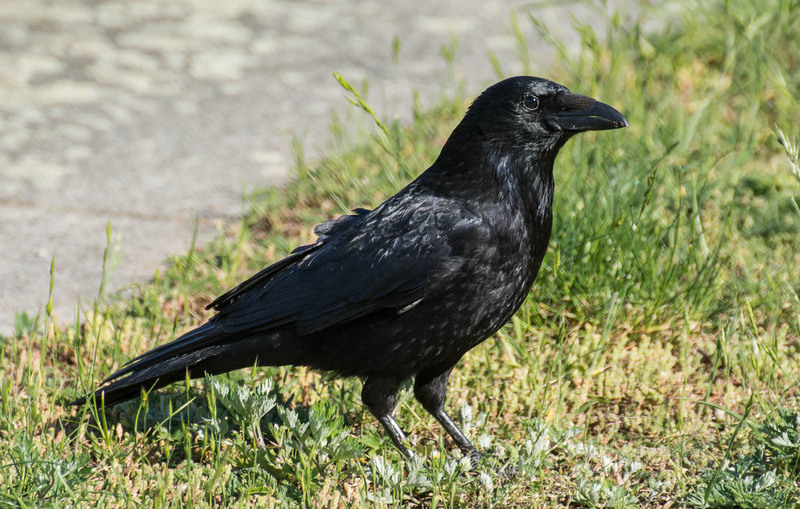 [ Smiles ] That is a lovely picture of a Carrion Crow! We have a family of carrion crows down the end of our lane. I think the world of them. They are almost tame, full of tricks and always ready for something to eat. I would have liked to have seen all those crows in that electrical storm, that would have been an impressive sight.